Thomas McNamara - McNamara & Carver, P.A. Born on Staten Island, New York, and raised in Mechanicsburg, Pennsylvania, Tom received his undergraduate degree in accounting from Pennsylvania State University and his law degree from the University of Chicago. 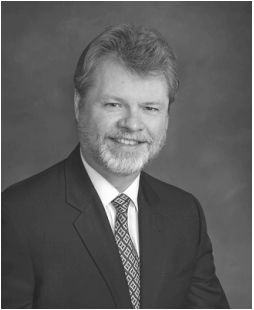 He began his legal career in 1985 with the Tampa firm Trenam, Simmons, Kemker, Scharf, Barkin, Frye & O'Neill, P.A. In 1990, he was one of the founding shareholders of Kalish & Ward, P.A., where he practiced until founding the predecessor firm to McNamara & Carver, P.A. in July 1995. Tom served on the Executive Council of The Florida Bar's Business Law Section from 1990 to 1992 including serving as Vice Chair and Chair of the Section’s Publications Committee. He has written and spoken extensively on corporate and securities matters, including being co-author of Florida Corporate Practice and co-author/co-editor of Florida Not-For-Profit Corporations Manual published by The Florida Bar. In addition, he served on the Florida Statutes Chapter 607 revision committee, which was responsible for preparing the 1989 legislation that overhauled Florida’s corporation law. Tom is AV peer review rated by Martindale-Hubbell, considered the profession’s highest recognition for legal ability and ethical standards. He is often listed in the annual publication Best Lawyers in America including being named the 2015 Mergers and Acquisitions Lawyer of the Year in Tampa, 2016 Securities Regulation Lawyer of the Year in Tampa, and Closely Held Companies and Family Businesses Lawyer of the Year in Tampa for 2017 and 2019.